To Do With Meatballs book that I get to give a lucky winner here on my blog! 101 THINGS TO DO WITH MEATBALLS ON TOP OF SPAGHETTI, and a whole lot more! In the newest addition to the 101 series, 101 Things to Do with Meatballs is filled with recipes that will become instant favorites among family and friends. Some of the tasty dishes include Breakfast Burritos, Meatball Sliders, Thai Pizza, Feta Meatballs with Cucumber Yogurt Sauce, Tortellini Meatball Stew, Chinese Beef Noodle Soup, Piping Hot Buffalo Subs, Enchilada Meatballs, Chipotle Meatball Pasta, Savory Meatball Lasagna, Tater Tot Kid's Casserole, and Meatball Stroganoff. This book also features Casa di Bertacchi Meatballs! Enjoy a comfort food favorite on top of spaghetti, and a whole lot more! Get more info about 101 Things To Do With Meatballs at www.casameatballs.com. I get to give away 1 copy of this book! Giveaway ends on Tues. March 2nd, 2010! This looks like a fantastic cookbook. I never know what to do with meatballs. I have no idea what to do other than the standard spaghetti or meatball sandwiches. This would be good to have. 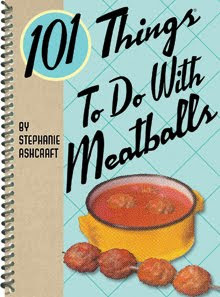 I love meatballs and I'd love to have this book. Please enter me in the drawing. This looks like a fun book, and we all love meatballs here. thanks! I love making and freezing meatballs. This sounds like it has some great ideas on how to use them! My husband would love this book. I am so glad to see cookbooks that give a classic recipe, new twist. This looks very interesting! I love to try new recipes. This looks good. Please count me in. Well I sure would like to learn some new tricks with meatballs! Thanks for the chance. Meatballs, lotsa meatballs. Count me in. Okay, I've been a follower for a long time. Does that mean that I get a follower entry for every contest, or is it a one time thing? Your button has been on my blog for a while. Is that a one time entry, or does it count as an entry for every contest I choose to enter? Thank you. I love cookbooks! I love me some meatballs so I'd love to win this cookbook! I would love to win this book, ever since I started working again I've really started slacking on cooking for the family! I need this book, because I can only think of 2 or 3 ways! #1 - posted about your giveaway. #2 - posted about your giveaway. #3 - posted about your giveaway. #4 - posted about your giveaway. #5 - posted about your giveaway. I love meatballs! would love to win! Please enter me I need a new cookbook to get some new ideas, I have run our after 49 years. Fun book! I didn't know there were so many things to do with meatballs. This sounds like a great cookbook. Thanks for the giveaway. I can actually get my kids to eat meatballs. This would be great. We love meatballs here and some new ways to use them in meals would be great. Sounds great. Please count me in. I can't imagine having that many recipes for meatballs. It would be great! I really do love meatballs but I confess I don't know what to do with them besides serve with spaghetti or make sammies. I'm following Book Giveaways with Google Friend Connect. I'm following Trying2staycalm on Twitter @AsTheNight. 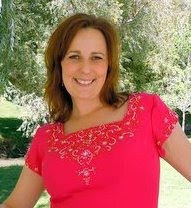 Voted for you for Top Mommie Blogs by clicking your link. I love meatballs!!! So exciting to have more recipes!!! Our family loves meatballs and it would be great to find other things to do with them rather than just serving with pasta and zera rice. I follow - thank you. This looks like a very interesting cookbook! Thanks for the opportunity. 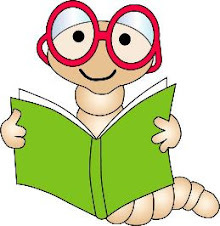 I follow your Book Giveaways blog. I follow Trying to Stay Cslm! Please enter me. My family likes meatballs and I'd like some new ideas. I love meatballs. Would love to have this cookbook. Thanks for the giveaway! My comment is "Yum!" I'd love to win.